I am going out of town this weekend, which means the daunting task of packing. I’m one of those who randomly chooses what to wear in the five minutes I’m scrambling t get out the door, so putting thought into planning outfits and making sure I have everything I need is not a pleasant task. 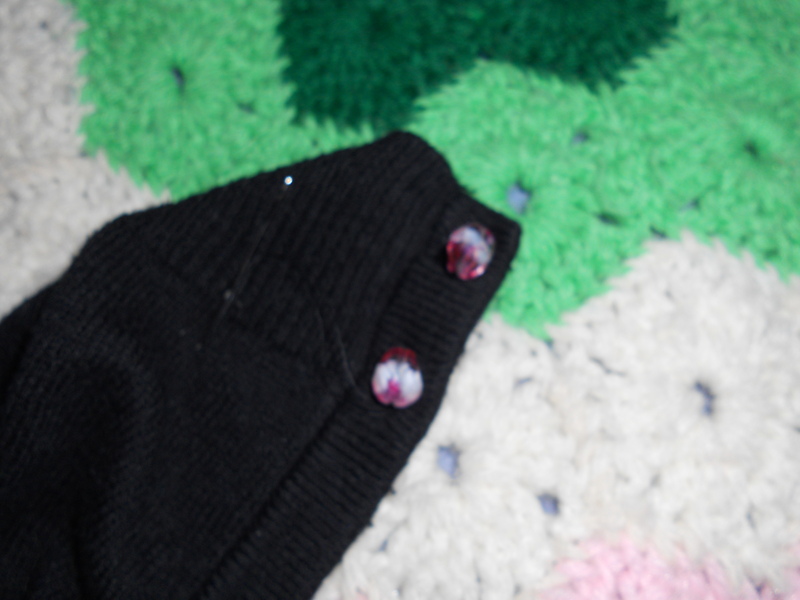 Even more unpleasant when I find that some of the stones on my favorite all-purpose black 3/4 sleeve cardigan’s buttons are missing!! SAD DAY!!! 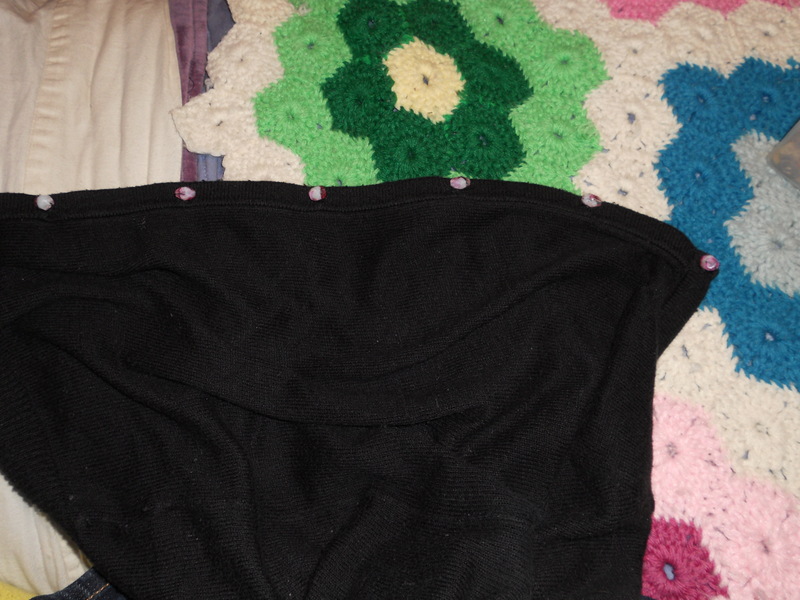 So I decide this pilling sweater is worth keeping, and go to raid my buttons. Darn! I don’t have 8 coordinating buttons (let alone matching ones). 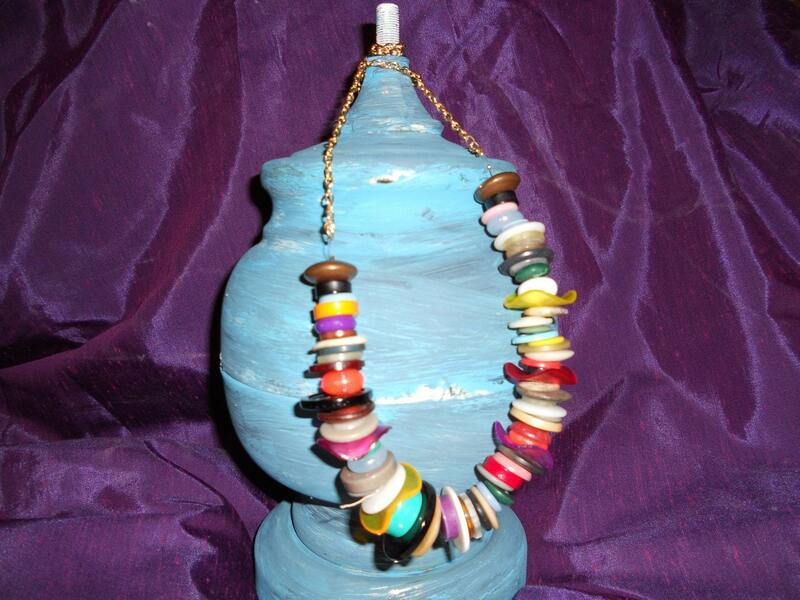 Time to steal some from my bead collection. 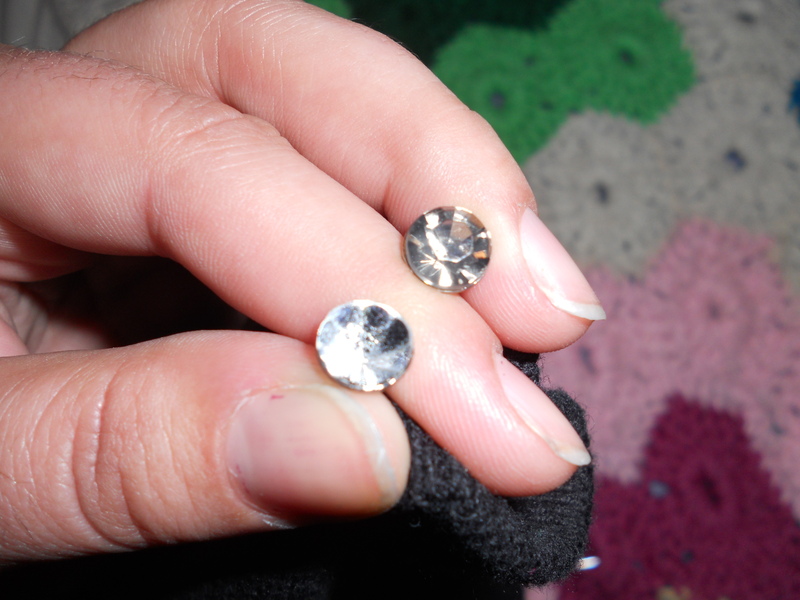 Because of the tiny size of the existing buttonholes, I have to opt for beads that I can rig to fit through the holes and still look cute.